The second day of competition at the Paralympic games in London was yet another promising day for team Kenya as Beijing champion Abraham Tarbei led compatriots Stanley Cheruiyot and Jonah Chesum into the men’s 1500m T46 final. Tarbei, the double gold winner four years dominated his qualifying heat which he won in a season best of 3:59.76 ahead of Ethiopian Fikre Indelbu second in 4:00.21 and Moroccan Mohammed Fouzai third (4:01.23). Cheruiyot qualified as one of the four fastest losers in 4:01.58, his personal best. Chesum was second in his heat in 3:59.72 his fastest time this season behind Algerian Samia Nouioua(3:57.27. Hannah Ngendo missed qualification in the first of her three sprint races the women’s T12 100m for the visually impaired where she managed third in 13:58, PB. Alice de Oliveira won the heat in 12.81.She now has the 200 and 400m. On Friday, Samuel Mushai led the 1500m T11 qualifiers in a fast opening heat that he won in 4:09.44. Immanuel Cheruiyot was disqualified from the second heat following a tactical error by his guide.Cheruiyot’s guide Robert Tarus crossed the line ahead of him which contravened the The International Paralympic Committee Rule 19.4 that stipulates that the guide cannot finish ahead of the competitor. 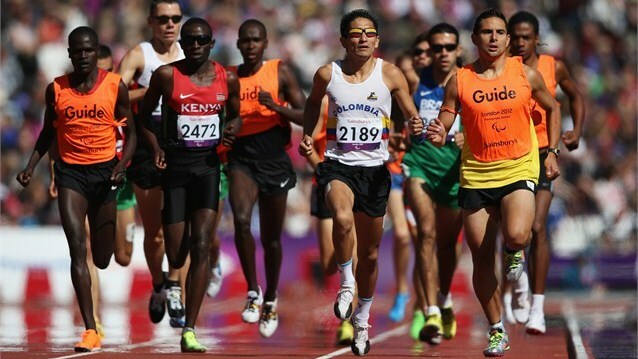 On Sunday the focus will be on triple Beijing champion Henry Kirwa, Kenya’s most successful paraympian in the history of the Games, who will be seeking a final ticket in the 1500m T12 heats alongside David Korir. Kirwa will also be in action in the 5000m.